The Annapurna region is a paradise of natural mystery and culturally loaded attractions. 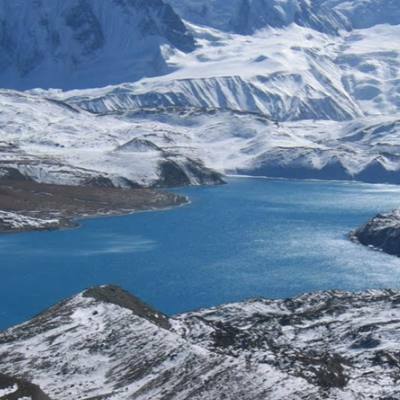 It is very much popular for trekking, hiking and peak climbing package in Nepal trekking trip. The trekking trails in the Annapurna region lie in the Annapurna conservation area. The beautiful panoramas of the Annapurna Himalayan range are awesome and breathtaking. The trekking in the Annapurna region includes the beautiful villages of the ethnic communities, their costumes, rituals, daily lifestyles and warm hospitality. Flora, fauna and lush vegetations are other attractions of the trekking in Annapurna region. The Annapurna region treks offer astonishing mountain views of the major mountain ranges as Mt. Annapurna I (8091m), Dhaulagiri (8167m), Fishtail (6999m), Lamjung Himal and several other snow- capped Himalayas. 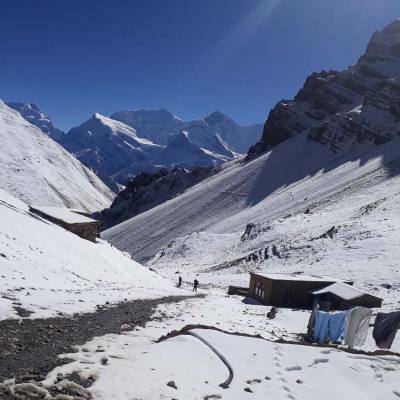 Some of the trekking trails in this region are Annapurna Base Camp trekking, Annapurna Thorung pass trekking, Ghorepani poonhill trek, Jomsom Muktinath trek and Upper Mustang trekking. It includes the deepest gorge in the world- Kaligandaki, also a traditional trade route to Tibet, the highest Himalayan pass in the world- Thorung La (5416m), high settlement of the Manang village, Hindu and Buddhist pilgrimage place Muktinath. Upper Mustang trek includes the forbidden kingdom, surrounded by the barren land similar to the Tibetan lifestyle. It is a restricted part, which needs special trekking permit. The Annapurna Sanctuary trek is well loved trekking, which also includes beautiful ethnic settlements as Ghandruk, Ghorepani and the sunrise view point- Poonhill. The region is covered with subtropical forests full of rhododendrons and other wild flowers. Due to the varieties of trekking trails, trekking in the Annapurna region is suitable for any types of trekkers. Trekkers can select short treks if they are timely bounded but want to hike in the mountain foothills and explore the nature and culture. The trekking starts after a long drive from Kathmandu or a 30min. scenic flight to Pokhara, a city of Lakes and natural paradise. It is also a perfect place for adventure sports. After the trekking ends, the trekkers have options to choose either to come back to Kathmandu or lengthen the trip to the Chitwan National Park for the Jungle Safari or the Trishuli River Rafting. Please, contact us for the Annapurna region trekking package and information.